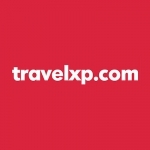 travelxp.com is an affiliate company of travelxp HD, India's Global High Definition Travel Channel. travelxp.com is a user-friendly, fast and clear travel portal, where customers can instantly book flights, hotels, bus tickets and holiday packages without any hassle. We at travelxp.com aim to help you make your traveling an enjoyable and unforgettable experience. The Holiday Sales Executive is responsible for driving the sales (B2C) to achieve the targets. The success in this profile means promoting and selling national and international holidays to travelers. - The incumbent shall provide clients with the best travel (tour) package deals offered by us. Emails: Understand the customer's query and reply with accurate information. - Initiate and customize the travel plans as per the needs of customer. To open new revenue stream by securing new client sales and retention by providing exceptional customer care. - Plan, describe, arrange, and sell itinerary tour packages and promotional travel incentives offered by various travel carriers.